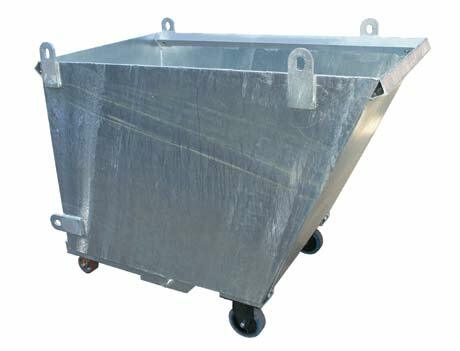 Type NSD Self Dumping Waste Bins provide an economical solution to collecting and disposing of industrial waste. 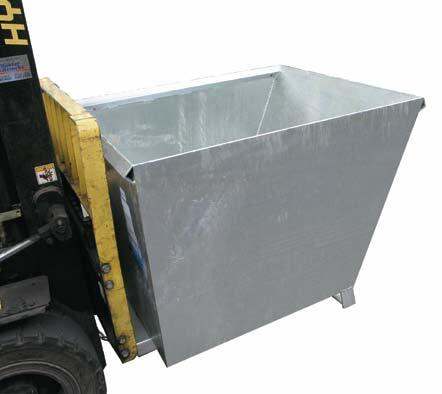 During transport, the Forklift tines are positioned fully under the bin ensuring the Forklift full lifting capacity is utilised. 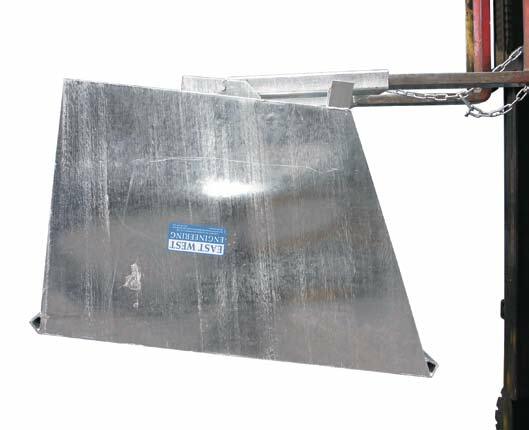 To empty the bin, the operator places the front feet of the bin inside the edge of the bulk dumpster, then drives backwards until the tines clear the pivot point and then raises to allow the bin to tip forward. Reinforced edges are standard. 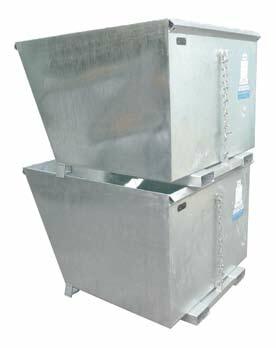 Bins are stackable up to 3 high. Available in either enamel painted or zinc finish.